These mouthwatering chocolate chip cookies are made with the addition of peanut butter, a match that just can't be beaten. The cookies are sure to be a hit with friends and family! Feel free to adjust ingredients to use what you have on hand and your family's tastes. Add some peanut butter chips along with the chocolate chips if you like, or use milk chocolate chips or chunks instead of the standard semisweet chocolate chips. Use creamy or chunky peanut butter in the recipe. The cookies are truly amazing in both flavor and texture, but if you like some vanilla flavor, add about 1/2 teaspoon. If you crave more texture, go ahead and add a handful of chopped pecans or walnuts. Or fold some chopped roasted peanuts into the batter. Preheat oven to 350 F. Lightly grease a baking sheet or line it with parchment paper or a silicone baking mat. Cream the butter, peanut butter, granulated sugar, and brown sugar until light. Add the egg and mix until the batter is smooth and fluffy. In a separate bowl, blend the flour, baking powder, baking soda, and salt together well. 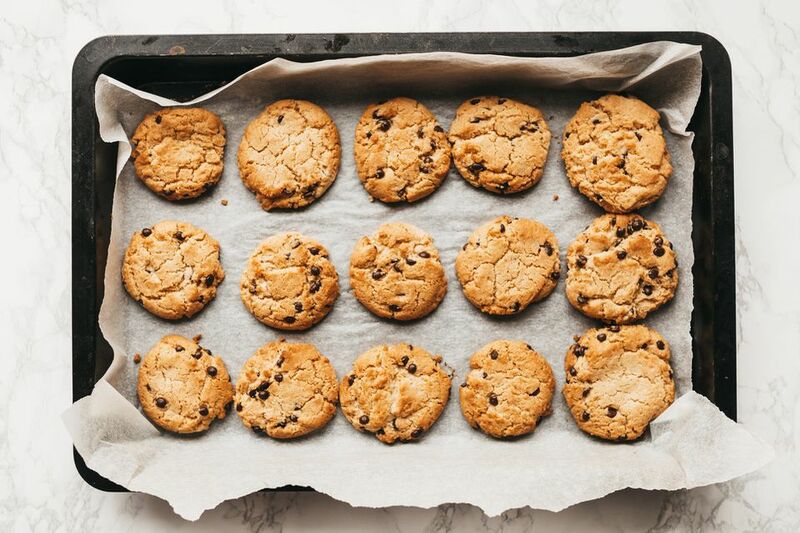 Drop the cookie dough by teaspoonfuls onto the prepared baking sheet. Bake for 10 to 12 minutes, or until set and lightly browned on the bottoms. The cookies spread only slightly. For flatter cookies, gently tap the unbaked cookies down slightly just before baking. Love peanut butter? Replace the chocolate chips with peanut butter chips, or use a combination of both, for a more decadent flavor.